Install the Pink Cherry Blossom theme to make your phonespecial!The Pink Cherry Blossom theme is a free exclusive Androidtheme, which offers multiple features.The Pink Cherry Blossom themecomes with Pink Cherry Blossom wallpapers, girl soft lock screenthemes, beatific amorous app icons, beatific amorouseffects and many more.♥ girl soft lock screen: Protect your app’sprivacy simply by dragging them to the “Hide App” icon on the topright of your home screen.♥ beatific amorous app icons:Decorate your app icons and folders with cool designs♥ Pink CherryBlossom user-interface: Add more style to your user-interface withour 3D weather widget and 3D Clock♥ Theme Center: Discover ourendless collection of free themes! The cool skull theme will makebattery charging look mysterious. We also have cartoon themes togive you a warm feeling each time you look at your screen. And ifthat’s not enough, we also have other cool designs, such as 3D,animals, neon, tech and many more that are totally free!♥ WallpaperCenter: Our wallpaper collection has various styles of HD and girlsoft live wallpapers. We also update thousands of wallpapers to ourcollection on a daily basis, so you could always find somethingthat you’ll like every day. You can even use our pink red, girlsoft and beatific amorous designs to create your own DIYwallpaper in our beatific amorous theme center.♥ Full supportfor portrait and landscape screen orientation♥ Install the PinkCherry Blossom theme to apply keyboard themes that are pink red,girl soft, beatific amorous and beatific amorous. Giveyour phone a complete makeover!The Pink Cherry Blossom theme issupported on various Android smartphone models, including SamsungS7 Edge, Huawei Mate 9 and many more.3D Themes and LiveWallpapers:Make your phone look cool with the Pink Cherry Blossomtheme, which has over 10 different types of special effects!Enjoy anew operating experience with Pink Cherry Blossom live wallpapers,along with beatific amorous touch gestures andbeatific amorous animated effects, which will truly show thebeauty of Pink Cherry Blossom. Experience cutting edge mobile apptechnology at your fingertip, be amazed by snowflakes or raindropsdescending from the top of your screen with one simple tap. Toapply the Pink Cherry Blossom theme, please download our Launcherapp first.Features of Our Launcher App:❤ Enjoy an unforgettableexperience with our free keyboard themes. We have cool keyboardthemes for the boys and cute keyboard themes for the girls. And foreveryone else? We have an endless collection of themes, so you arebound to find something you’ll like here!❤ Theme Center: Variouscategories of free HD and Live wallpapers for you to choose from❤DIY Themes: Create your own DIY theme! Share beatific amorousPink Cherry Blossom themes, girl soft wallpapers and app icons withyour friends, give them a surprise!Install the free Pink CherryBlossom theme now to make your phone lovely and colorful! ❤Beautiful pink sakura theme with cherry blossom live wallpaper !Spring is coming with blossom flowers , pink sakura , sakura inblossom and beautiful orchid flower in spring wind. Cherry blossomtheme has romantic pink sakura lock screen with blossom cherryflower for spring love. Diy mobile wallpaper with cherry blossomwallpaper and pink sakura icon pack and spring flower lock screen!Get whatever you like for floral new spring time.Cherry blossomtheme gives you blossom flower lock screen with cherry blossomwallpaper and vintage cherry flower wallpaper free. Pink sakuraflower theme for coming 2018 spring season. The most beautifulspring flower theme for android and happy valentine with romanticroses.❤new features of cherry blossom theme for android beautifulcherry blossom wallpaper with blossom flowers pink sakura lockscreen to protect android privacy pink flower love icon pack for100+ popular apps sakura street search widget + pink sakura clockwidget free diy theme for diy live wallpaper and diy screen lockdiy icon pack for android theme icon changer free free theme app tocustomize android with favorite skin changer swipe left to readdaily news free and safe privacyWe present you cherry blossom lockscreen with pink sakura wallpaper themes, added さくらライブ壁紙 icon packwith 落下桜 icon changer, and sakura applock theme, your privacylauncher with sakura lock screen theme . Get a new look of pinksakura for your android for this happy festival season with happynew year and Valentine holidays. Pink sakura flower theme keeps ourandroid wallpaper beautiful romantic. Customize android withblossom sakura live wallpaper and cherry flower lock screen free.No matter you like pink roses theme or water orchid theme or waterflower theme and valentine love theme or sea aquarium theme, youwill like pink spring flower theme for you . Get something blossomfor 2017 Valentine day and decorate android phone with beautifulroses.❤ cherry blossom icon pack to blossom romantic Specialdesigned sakura flower icon pack for android apps. Flower iconchanger will make popular apps so blossom with sakura flower petals, for example sakura whatsapp and sakura messenger and sakurainstagram etc. We have pink sakura theme for whatsapp, cherryblossom icon changer for facebook etc. If you have any app want tobe changed, send us email. ❤ cherry blossom theme to personalize 3Dlauncher beautiful Pink sakura theme is designed for 3D cm launcherfree. It is not for go launcher or any other first launcher theme.Pink sakura flower theme is to decorate your android phone withcherry blossom and give you warm love for sakura blossom springtime. Blossom sakura theme is made for whoever like sakura flowerand spring flower theme. The cherry blossom wallpaper makeseverything blossom flower garden. Cherry blossom theme wallpaper isa privacy guard for samsung s8 phone and theme for huawei mate10theme and huawei p10 theme for phone 8 theme and phone X customnotch theme etc . ❤ DIY live wallpaper and DIY lock screen withyour own designs Join in our free DIY nation and DIY android themewith floral flower wallpaper.Support diy live wallpaper free anddiy icon pack for cool icon changer free.We have more themes comingfor snow winter like snow flake theme and merry Valentine themeetc. We all love blossom complicit with sakura spring.Let’s expecta happy new year together with blossom cherry flower flower theme .We suggest you to use this cherry blossom theme together withcherry blossom keyboard theme. Start texting with cool flower themein the theme center free. If you have any questions, please send usemails. New Lovely Pink Orchid Flowers Keyboard Theme is just around thecorner, we will make your smartphone bring a Spring Flowersbackground with this creative Cherry Blossom designed by ourcreative team just for you! Get this Sakura Blossom keyboard themefor your pink-cherry-blossom keyboard free! - 🌸Use Floral Pink LoveSpring Festival wallpaper for new S8, Note 8 keyboard free.- 🌸Usefree AI tech keyboard for fast texting and avoid mistakes andmisspellings- 🌸Use Voice keyboard to say and record what you wantto text- 🌸Type with sakura-cherry-blossom-hearts music keyboard andsound type to enjoy texting 🎀 Lovely Pink Orchid Flowers KeyboardTheme is an amazingly Floral Orchid app for phones and tablets thathas many Fresh Morning Flowers keyboard skins for you. 🎀Befashionable everyday and thousands of smiley emoji and emoticonsaround you while you text to your bffs and send orchid-pink-flowersemoticons and smileys. Do you love Spring Flowers withfresh-morning-flowers ? Or you love Pink Orchid Flowers withpink-cherry-blossom-hearts? Get this Cherry Blossom keyboard themefree now. 🎀You'll simply adore this Lovely Sakura Blossom keyboarddesign and its cool background that will make you feel like goingto pink-cherry-blossom and cherry-blossom world. 🎀The Lovely FloralPink Spring effect will bring a stylish of fashion in your life andshow everyone your good taste in orchid-hearts-love keyboardthemes. 😍Why is Floral Orchid keyboard theme:🌹 Use free Emojikeyboard to text friends with love Emoji, fun emoticons andstickers. We keep update fun emoticons and fun gif pictures everyday.🌹 Designed free fonts like skull fonts, rose fonts and neonfonts to bring text to life🌹 Automatic correction to help you textfaster than ever with floral-orchid theme🌹 Free keyboard themecenter: sakura-cherry-blossom keyboard theme, orchid-pink-flowerskeyboard theme, fresh-morning-flowers keyboard theme orsping-flowers keyboard theme or floral-orchid keyboard themes,etc.Just choose what you love.🌹 we will have awesome 3D keyboard themescoming soon together with cool DIY keyboard theme function free foryou. Keep following us on new cool cartoon themes.😍How to ApplyFresh Morning Flowers Keyboard Theme?Note: Our app must beinstalled1 💕 Download the Love Spring Flowers Cartoon Keyboardtheme, tap the INSTALL button.2 💕 Download our keyboard from GooglePlay Store. If you already installed, please tap on the APPLYbutton. 3 💕 After installed and applied, the Pink Orchid FlowersKeyboard theme will be automatically installed on your phone. 💖Pink Orchid Flowers keyboard having very floral-orchid keyboardthemes which helps you to make charming your Keyboard app. Spring is the time when nature awakes and everything becomes morebeautiful! So use this wonderful opportunity to beautify your phonewith our new Sakura Lock Screen Zipper app! Sakura, or cherryblossom, is a symbolic flower of renewal of nature, but it's beautycan be enjoyed for a short time only. 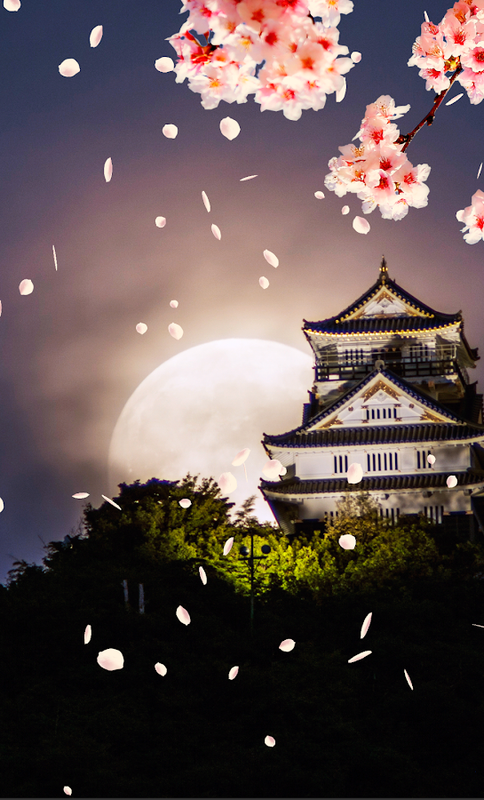 What we offer here is achance to enjoy the mesmerizing sakura fantasy for as long as youwant! You can choose one of the wonderful sakura cherry blossomimages, set the zip horizontally or vertically, and select yourfavorite pendant! But this beautiful screen lock doesn't justdecorate your phone. It is also a great safety app, and it enablesyou to set your own pin code to enhance the safety of your device!So don't wait! The sooner you download the Sakura Lock ScreenZipper for free, the sooner you will be able to enjoy this lovelysakura wallpaper unlock zipper! ✿ How to set this beautiful lockscreen ✿ ❀ Open the app ❀ Check 'enable lock screen' ❀ To set apasscode, check 'enable pin lock' ❀ Enjoy your new flower screenlock wallpaper ✿ Features ✿ ❀ Choose your favorite sakura wallpaperbackground ❀ Set the zip vertically or horizontally ❀ Pick one ofthe cute pendants ❀ Hide the numbers and battery or show them overyour cute pink lock screen ❀ Set the format of time and date ❀ Takea look at the preview to see if you like your settings Have youever seen a “Japanese river filled with cherry blossom petals”? Ifyou have, you know it is one of the most amazing images a personcan witness. If not, here is your chance! Just download our “SakuraLock Screen Zipper” and you will be able to enjoy many amazingimages of sakura petals on your device. Spring is the “best time tosee sakura in Japan”, but even if you are not one of the lucky onesto visit Japan at the time of “falling sakura petals”, you canstill enjoy their beauty with this lovely sakura zipper lock app!This beautiful lock screen goes beyond petals on your phone ortablet. Simply using these “flower themes for android free” willenrich your life and fill your days with unique blossom flower art.Turn the simple phone unlocking activity into an amazing experiencewith this ideal zipper cherry blossom app! Just imagine “cherryblossom flower petals” floating down the river or covering thesurfaces of streets and parks! These romantic sakura images areready to be enjoyed and with the Sakura Lock Screen Zipper you cando that all the time! Every time you use this unlock zip “girlylock screen wallpaper”, you will revel in beautiful flowerscovering the screen of your mobile device. Looking at blossom ontrees is nice, but why not take that image wherever you go and lookat cherry blossom falling whenever you want! And this “flowerwallpaper hd full screen” free zip makes that possible for you! Ifyou usually find yourself in flower mania at spring time and youenjoy flower images, this pink flower theme is definitely right foryou! Just download this “safe and secure full screen lock app” andyou will get your dose of Japanese cherry blossom right away! Areyou in search of some “girly apps to customize your phone”? Howabout sakura flower zip lock screen for girls!? 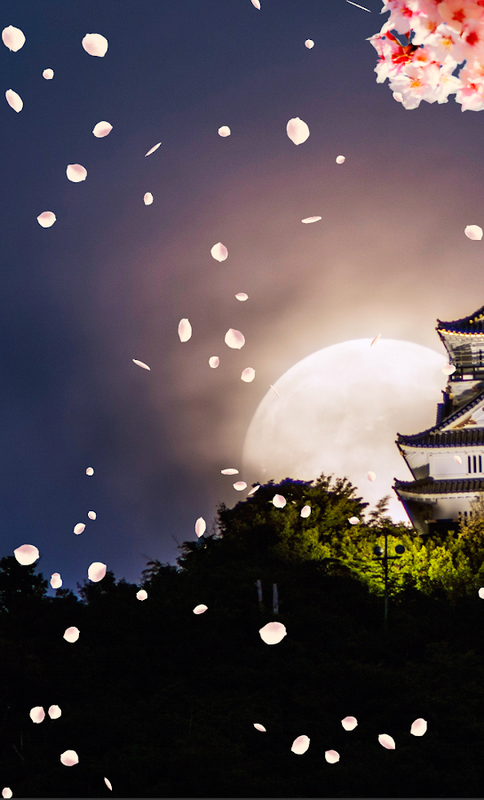 It will give you anelegant lock screen, and a chance to enjoy the amazing views ofnight sakura pink blossom theme at any time! This sakura themenature lockscreen will make you feel like you are actually in apark, enjoying hanami, the tradition of watching blossoms of sakuraflower. It is more than just a cute zipper lock screen. It is thiswonderful feeling packed in a beautiful sakura petals lock screenapp and created to turn your mobile phone unlocker into the mostbeautiful flower zipper lock screen you can imagine! Download theSakura Lock Screen Zipper and start enjoying your best free appright now! Bored of your default static wallpapers? Want to make your awesomephone, old or new, even prettier with beautiful cherry blossoms?Get ready to stand out with this free new hd and customizableanimated themes! It has moving sakura flowers as well! Sakura(Cherry Blossoms) Live Wallpaper is the perfect dynamic themecreator for all android phones owners (suitable for both girls andboys!). It can turn your regular boring backgrounds into beautifuldynamic wallpapers with grass, vegetation and cherry flowers,whether it's spring or summer! It also has parallax (3D/4D)effects, emojis, frames (golden, wood, red hearts, bows, emojis,roses, flowers, Christmas tree tinsel and balls, or snowflakes, iceand snow) and magic touch (beautiful animations with movingparticles and sounds when you touch the screen). You can also addone of many beautiful analog clocks to your home screen! Goldclock, butterflies clock, Vintage/retro clock, wood clock or even atransparent clock! You can also add your name, the name of the oneyou love or any other custom text and quotes you want to thescreen! Choose between lots of fonts, text colors, patterns (roses,hearts, rain drops, stars, stones, etc. ), sizes, positions and havefun customizing what you write! How do I enable it? - This is veryeasy. Run the app and just press the "Customize" button and on thenext page scroll through the 6 customizing options (background,moving elements, analog clocks, your name, emoji, magic touch anddon't forget to review our app at the last step! -After you aredone with the editing, just press the button from the bottom of thescreen (the one with the check mark) and then tap on the "Save"button in order to save your changes. - Once you are directed tothe main screen, just press "Set wallpaper" and then confirm itfrom the phones screen for setting wallpapers. - Or if the abovedoesn't work you can also try to do this: Home -> Menu ->Wallpapers -> Live Wallpapers -> Select "Sakura (CherryBlossoms) Live Wallpaper" What can it do? - You can change thebackground image of the wallpaper or you can even add your ownimages! - You can add frames (golden, wood, red hearts, bows,emojis, roses, flowers, Christmas tree tinsel and balls, orsnowflakes, ice and snow) - You can also change the colors anddesign of sakura blossoms that fall all over your screen. - You canadd emojis from you keyboard and watch them moving across thescreen. - You can add an analog clock to your screen. - It has3D/4D (parallax) and magic touch effects (colorful particles andsounds). - Fully optimized app to run on almost all android devicesand to keep the image original. - It's new, free and hd. - Sakura(Cherry Blossoms) Live Wallpaper is suited for everyone and free touse. 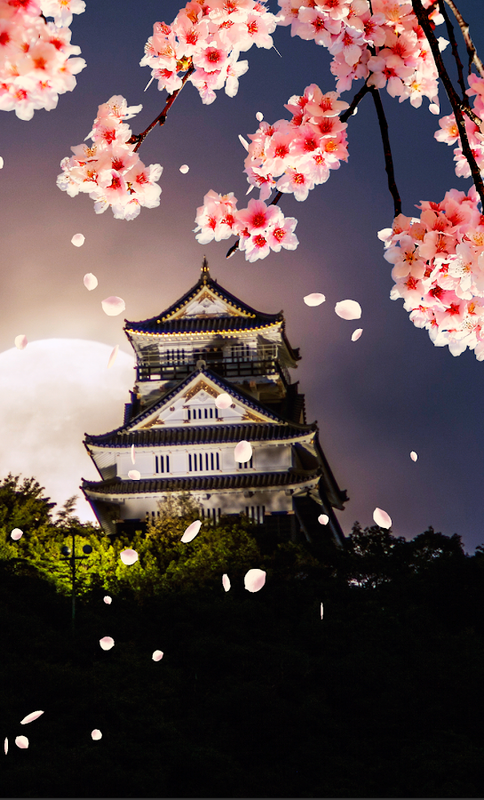 - Sakura (Cherry Blossoms) Live Wallpaper is a live wallpapereditor, with a large collection of ways to customize your phone.Download Sakura (Cherry Blossoms) Live Wallpaper now and convertyour wallpaper to a cool dynamic one! After applying Sakura (CherryBlossoms) Live Wallpaper your home page wallpaper will change withthe desired background. This app is compatible with Samsung GalaxyS9, J2, J7, J1, J5, J2 prime, J7 prime, OPPO A37f, OPPO A33f, VivoY21L, OPPO A1601 F1s, Vivo Y51L, Samsung Galaxy Grand Prime andGrand Neo, Vivo Y53 1606, Samsung Galaxy Tab 3 Lite, Xiaomi Redmi3S, Xiaomi Redmi Note 4, LYF LS-5016 Wind 7, Samsung Galaxy CorePrime, Samsung Galaxy Grand 2, Huawei LUA-U22 Y3II, Lenovo A6000,Huawei P8 Lite, iZoom 1201, LG K10, Lava A97, Gionee P5W PioneerP5W, Motorola MotoG3, HTC Desire, Vivo , Sony Xperia and many manyothers! The Samsung S8 mock-up used for some of the store listingis found on the site "thislooksgreat.net".